Dr. Charles Tolbert has been involved with graduate education since 1980 and came to Baylor in 2000. He returned to his alma mater (class of 1973) nearly 25 years later to build on the potential of the the small and highly effective applied sociology doctoral program. 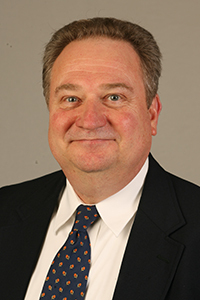 He served as the chair of the sociology department from 2000 - 2015. His areas of research include social stratification, social demography, rural sociology and quantitative applications. Dr. Tolbert teaches basic data analysis, advanced quantitative methods, and demographic techniques. Michael C. Lotspeich, Charles M. Tolbert, and F. Carson Mencken. 2019. “Oil and Gas Development and Small Business Lending in U.S. Nonmetropolitan Counties.” Journal of Maps 15(1):46-51. F. Carson Mencken and Charles M. Tolbert. 2018. “Community Banks and Loans for Nonmetropolitan Businesses: A Multilevel Analysis from the 2007 Survey of Business Owners” Rural Sociology 83(2):376-401. F. Carson Mencken and Charles M. Tolbert. 2018. "Small Business Lending and Economic Well-Being in Texas Conties: A Test with Community Reinvestmetn Act Data." Journal of Rural and Community Development 13(1):47-66. F. Carson Mencken and Charles M. Tolbert. 2016. "Restructuring of the Financial Industry and Implications for Sources of Start-up Capital for New Businesses in Nonmetropolitan Counties'." Journal of Rural social Sciences 31(1):71-82. Charles M. Tolbert, F. Carson Mencken, Troy C. Blanchard and Jing Li. “American Civic Community over Space and Time.” 2016 in Reclaiming Space: New Middle-Range Theory in Spatial Demography.(F. Howell and J. Porter (eds. ), Springer Press. * Chapter 12: 235-252. Dr. Tolbert's Full Curriculum Vitae.